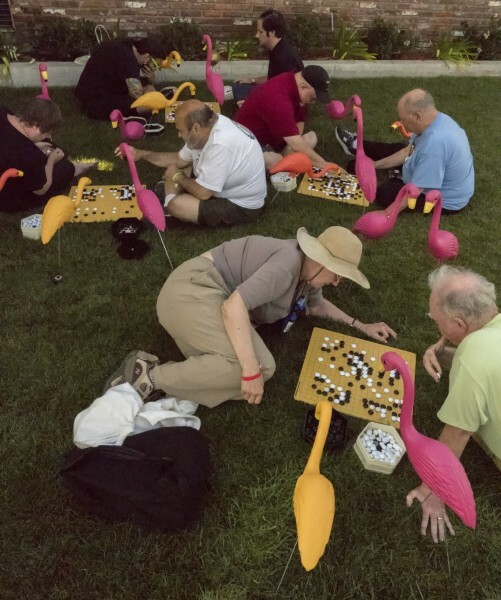 Less than a week after the conclusion of the 33rd US Go Congress last Saturday, the US Open, US Open Masters Division, Redmond Cup, and the Die Hard tournaments have all been rated, in what Ratings Coordinator Jonathan Bresler believes to be record time. “Mmmm,” said AGA president Andrew Okun, contentedly, adding “On behalf of the Congress attendees and the entire go community, my thanks and compliments to TDs Matthew Hershberger, Andy Olsen, and Justin Teng, along with Jonathan Bresler, Treasurer Roy Schmidt, Membership Coordinator Charles Alden, the Congress directors and staff, for their diligence.” Players can see their results reflected in the AGA Games Database. 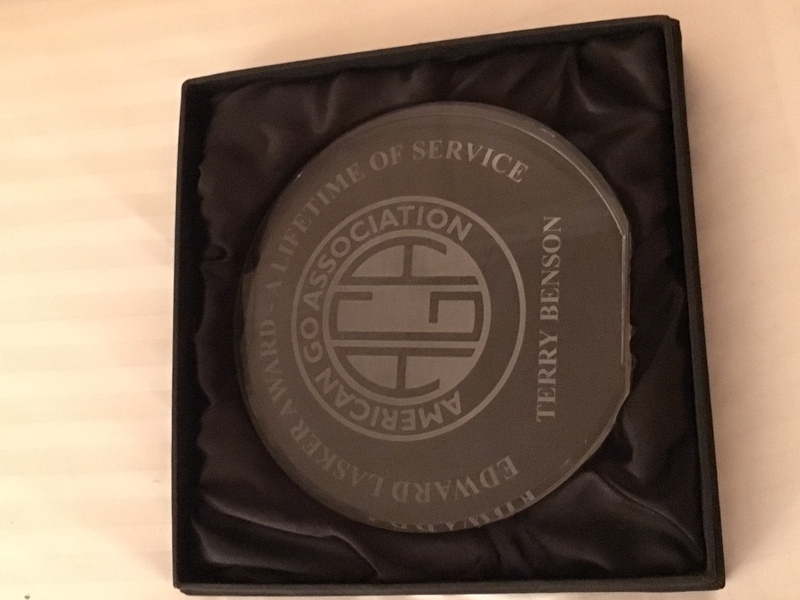 The Lasker Award is named after Edward Lasker, a founder of the American Go Association. 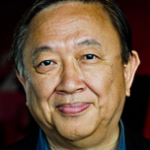 Other awardees include Richard Dolen and Frank Fukuda in 2013. Latest from xkcd: make sure you hold your mouse over the comic. Redmond on Kobayashi? 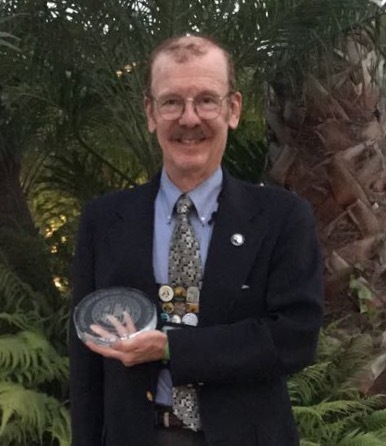 “I hope you can get Michael Redmond to do a review of his recent game with Kobayashi Koichi, either for the EJ Members Edition or as a You Tube video,” writes Bob Gilman. A Redmond video commentary on the game with Kobayashi is in production, as is the next set of Redmond’s Alphago-AlphaGo commentaries. 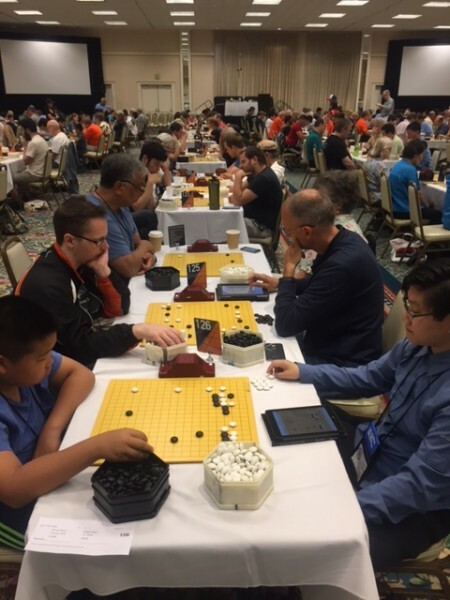 2017 U.S. Go Congress coverage links: If you missed any of the 2017 U.S. Go Congress coverage, click here for our comprehensive website reports, including tournament updates, profiles and more, and click here for our extensive video coverage, including daily previews, game commentaries and wrap-ups. 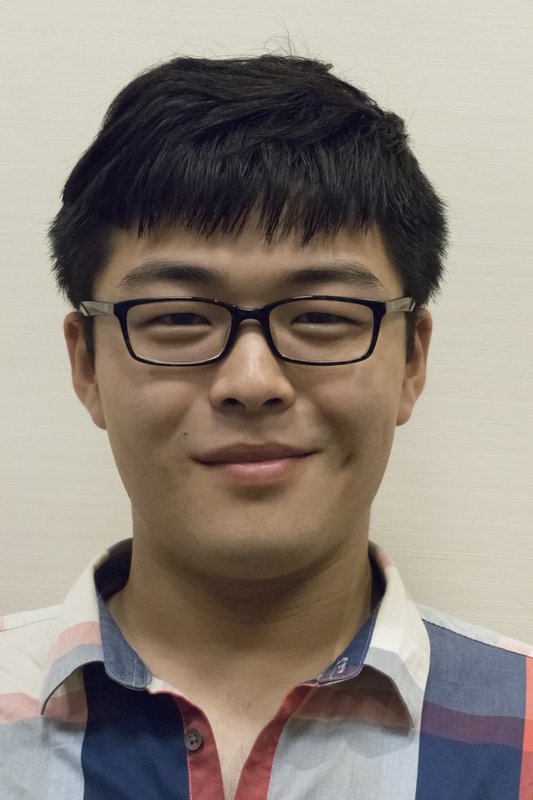 Wu Hao 2p of China swept the 2017 U.S. Masters tournament, scoring a perfect 9-0 record. North American pros were close behind with Ryan Li 1p second at 8-1, Andy Liu 1p in third (7-2) and Eric Lui 1p taking fourth (6-3). The rest of the top-10 finishers were: 5th: Zhaonian (Michael) Chen 7d; 6th: Zirui Song 7d; 7th: Yongfei Ge 7d; 8th: Bao Yun 7d; 9th: Albert Yen 7d; 10th: Zhongxia (Ricky) Zhao 7d. 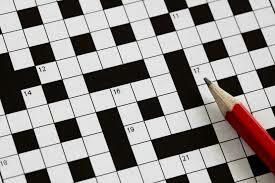 Click here for the Masters crosstab, with complete results and top-board game records. 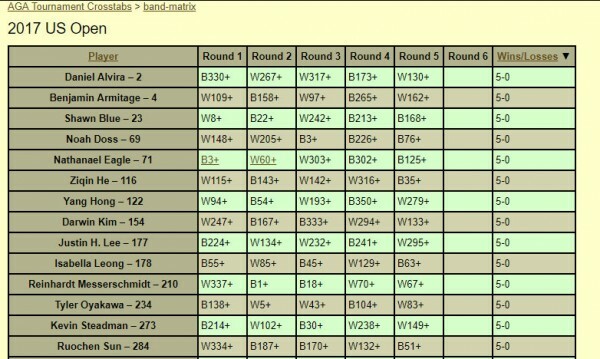 Here’s a PDF with the final standings. Wu Hao has won all eight games so far and is going into the final round of the tournament undefeated. Ryan Li 1P who had the second-best record coming out of round seven also won his eighth round against Bao Yun. Stay tuned for the final results for both the US Open and US Open Masters Division tomorrow. Matthew Hershberger, one of the hardest working volunteers at this year’s Go Congress with over 300 players to wrangle, directed both the US Open and the US Open Masters Division for the second time. Check out our Behind the Scenes profile on Matthew from last year’s Go Congress. Shunichi Hyodo and David Baran prevailed in the dan and kyu divisions respectively in this year’s Seniors’ Tournament. Both won all five games. In the kyu division Nick Maffeo took second place with Dave Frankel in third, and in the dan division Masahiro Kawaguchi took second place with Jeff Rohlfs in third. Long-time go player George Schmitten was awarded a special mention by TD Greg Kulevich for sportsmanship. The final round of the Women’s Tournament took place this afternoon; stay tuned for the final winners report tomorrow. 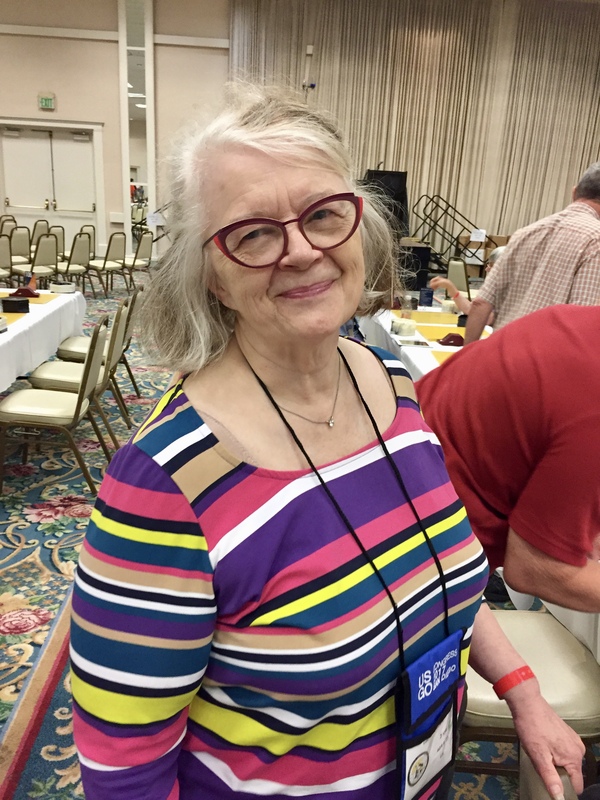 Long-time Women’s Tournament TD and US Go Congress Coordinator Lisa Scott returned to the director’s chair again for this year’s tournament. Check out our Behind The Scenes profile about Lisa from last year’s Go Congress. Gabriella Su 6d and Aaron Ye 7d are headed to Japan after winning the top table at Thursday night’s Pair Go tournament. 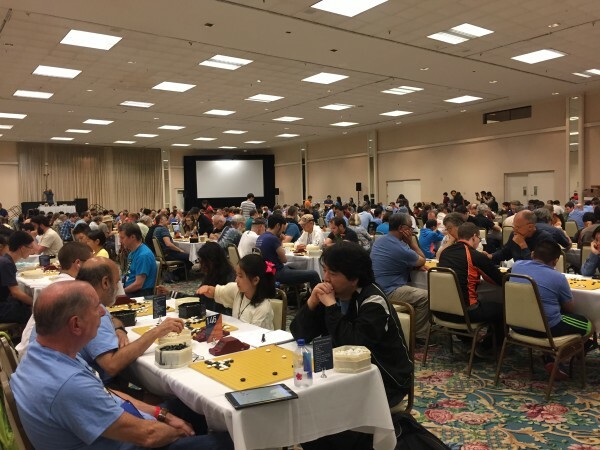 They first defeated Jessica Wu 3d and Justin Teng 6d to move to the championship match, and then had a whirlwind endgame finish against Sophia Wang 3d and Lionel Zhang 7d to clinch the championship. Su and Ye will represent the U.S. at the International Amateur Pair Go Championships in Tokyo in December. TD Todd Heidenreich would like to thank his assistant TD Patrick Ferl for his help managing the tournament, as well as Steve Colburn and Dennis Wheeler for managing the top table in the strong players room. Table winners: Yuankun Li 1P and Ziyang Hu 2P, Yuanjing Dong 5d and Quan Sun 7d, Julie Burrall 2d and Matthew Burrall 7d, Yidong Wang 3d and Matthew Hershberger 3d, Jiao Li 5d and Noah Doss 1k, Weiqiu You 5k and Yifei Gal 7d, Youqi Fan 1d and Jaile Chen 2k, Feng Yun 9P and John Crossman 16k, Laura Sparks 10k and Brady Daniels 3d, Liya Luk 6k and Brian Ye 7k, Vivie Truong 7k and Ricky Harper 8k, Isabella Leong 22k and Yiyang Liu 2d, Antonina Perez-Lopez 20k and Tevis Tsai 7k, Lucia Moscola 24k and Ted Terpstra 5k. 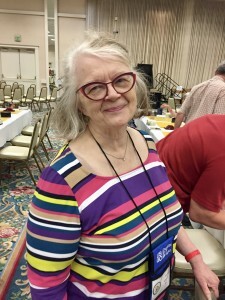 -photo (right): Lee Anne Bowie of Seattle managed to play in both the Women’s Tournament and the Seniors Tournament.